My Generic frame design kitted out with the Fast Assault (AKA: Harrier) loadout. Accent colors are Purple and Yellow. 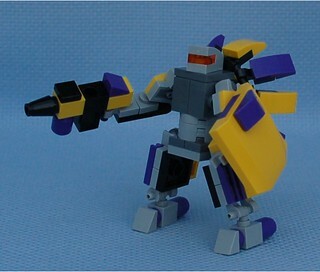 Attachments are in Purple, Yellow, and Black to make it look like some sort of alt-color Gundam.